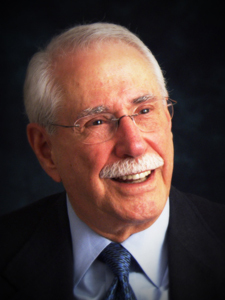 Mike Gravel served in the Alaska House of Representatives from 1963-66, and as Speaker from 1965-66. The Senator represented Alaska in the U.S. Senate from 1969-81. He served on the Finance, Interior, and Environmental and Public Works committees, chairing the Energy, Water Resources, Buildings and Grounds, and Environmental Pollution subcommittees. Books authored by Senator Gravel are Jobs and More Jobs, and Citizen Power. He used his position as a senator to release the Pentagon Papers and facilitated their publication as The Senator Gravel Edition, The Pentagon Papers, Beacon Press (1971). This publication occasioned litigation, Gravel v. U.S., resulting in a landmark Supreme Court decision (No. 71-1017-1026) relative to the Speech and Debate Clause (Article 1, Section 6) of the United States Constitution. The Senator also waged a successful lone filibuster for five months effectively ending the draft in the United States. The Senator’s business activities have encompassed real estate, finance, and energy. In addition to his professional experience, he has worked as a cab driver in New York City, a clerk on Wall Street and as a brakeman on the Alaska Railroad. He founded and served as president of The Democracy Foundation, Philadelphia II, and Direct Democracy, nonprofit corporations dedicated to the establishment of direct democracy in the United States through the enactment of the National Initiative for Democracy by American voters. Senator Gravel lectures and writes about governance, foreign affairs, economics, Social Security, tax reform, energy, environmental issues and democracy. Supreme Court - Associate Justice - Nov 21, 1969 R Clement Furman Haynsworth, Jr.